There’s another Premium Starter Kit that is such a great value that I was telling you about a few minutes ago, which centers on the Thieves line of products (what we have been discussing this entire class). It’s the same $160 cost, and contains everything you need to start cleaning the natural way. This retails at over $330, so $160 is a great deal for all the product you are getting! 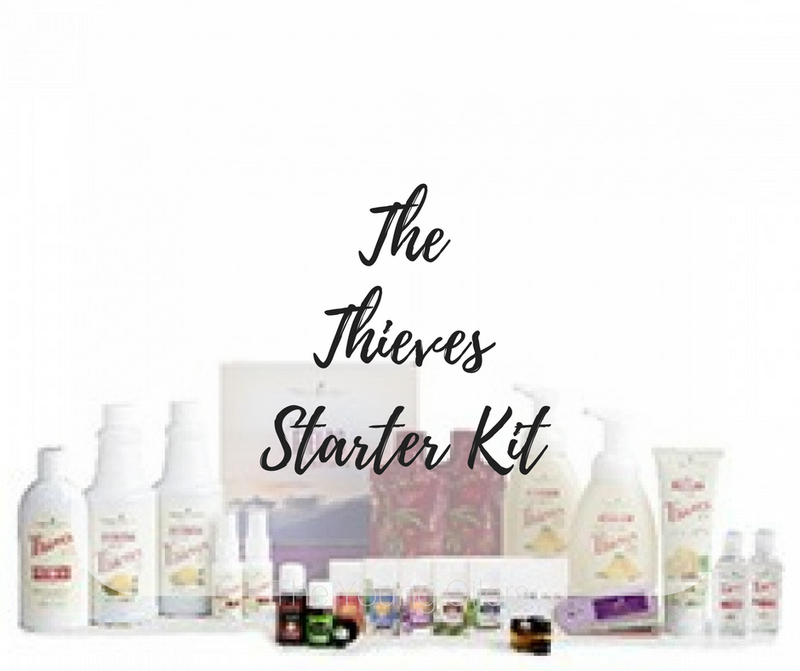 - 15 ml Thieves Essential Oil- 2 bottles of Thieves Spray- 2, 14.4 ounce bottles of Thieves Household Cleaner- Thieves Mouthwash- Thieves Aromabright Toothpaste (my favorite! )- 2 Thieves Foaming Handsoaps- Thieves Hand Purifier- 2 Ningxia Red Samples (I like to call these teasers instead of samples because they are so good! )- 10 Oil Samples- 5 ml Stress Away blend (You can get started with some of those Diffuser blends with guy)- All the literature and resources you could need. OH! And remember? Any Premium Starter Kit comes with a 24% discount on anything else. We add you to our group’s facebook pages: Pure Joy and the Young Oilers! You get to hear from of others who also use oils to find tried and true recipes and support. Our goal is to never, ever, have you feel lost, or unsure of what to do with your oils. Pretty stinkin cool huh?! Who's ready to get started? !